The new Teacher Toolkit includes printable artwork to create a Brilliance Board in your classroom. The artwork makes it simple to create a Footsteps2Brilliance bulletin board in your classroom where you can track classroom word-reading goals, set a focus for books and games, showcase student work, and communicate with parents. Offered in English and Spanish, this fun chart in the Teacher Toolkit can be sent home to encourage students to use the app for 15 minutes 3 times per week. 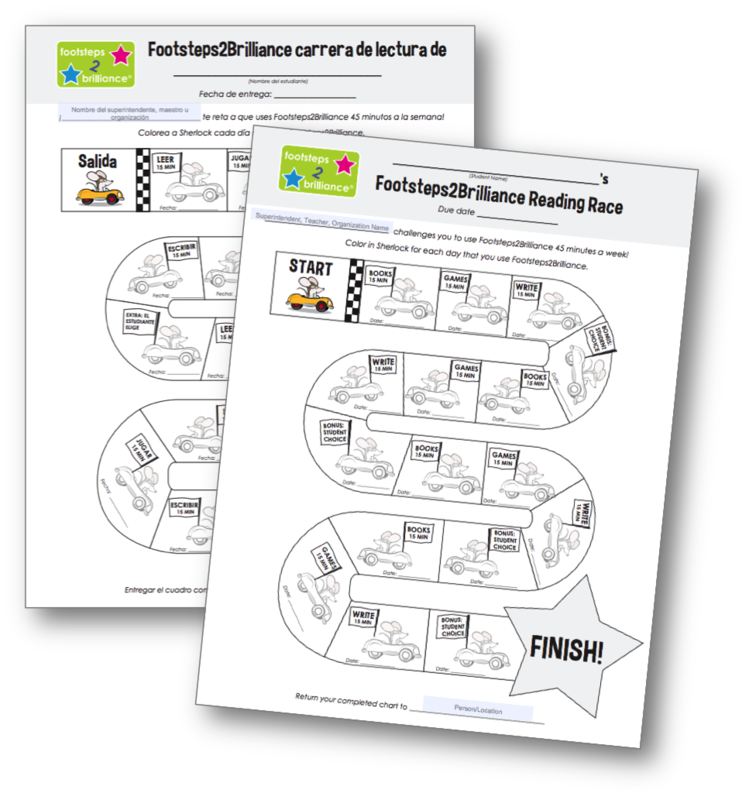 Simply have students color in a car each time they complete a session and then return the completed chart for a fun reward or recognition. 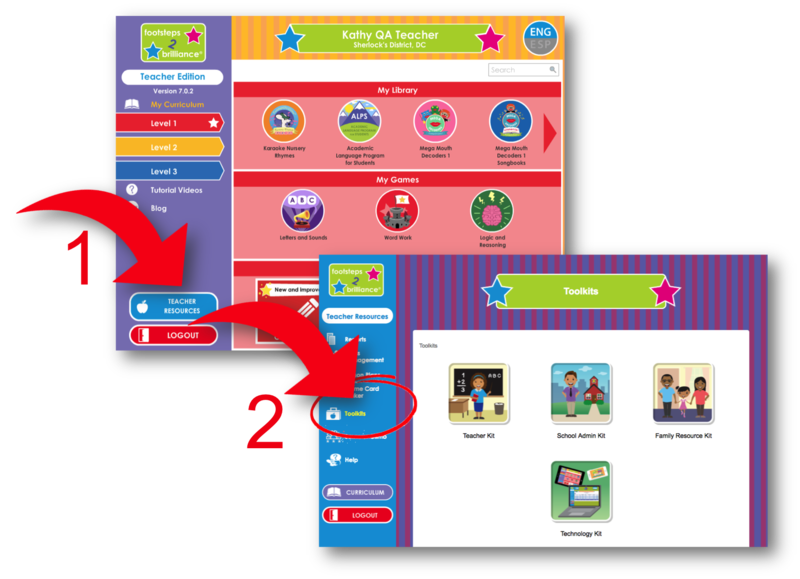 Whether you’re a teacher, an administrator, or a librarian, this chart can help you to motivate families to use the app every day. Keeping students, families, classrooms, and teachers motivated is the key to a successful Footsteps2Brilliance implementation. Now, it’s easy to recognize the milestones along the way with beautiful certificates in the Teacher Toolkit and School Admin Toolkit. Consider presenting these at assemblies or other special events. 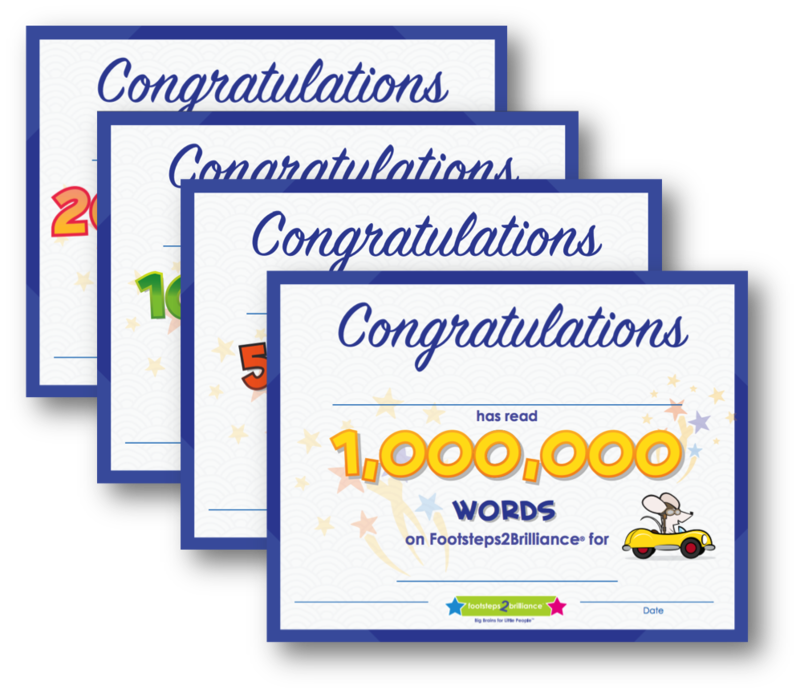 Be sure to display certificates prominently afterward to keep the motivation high. 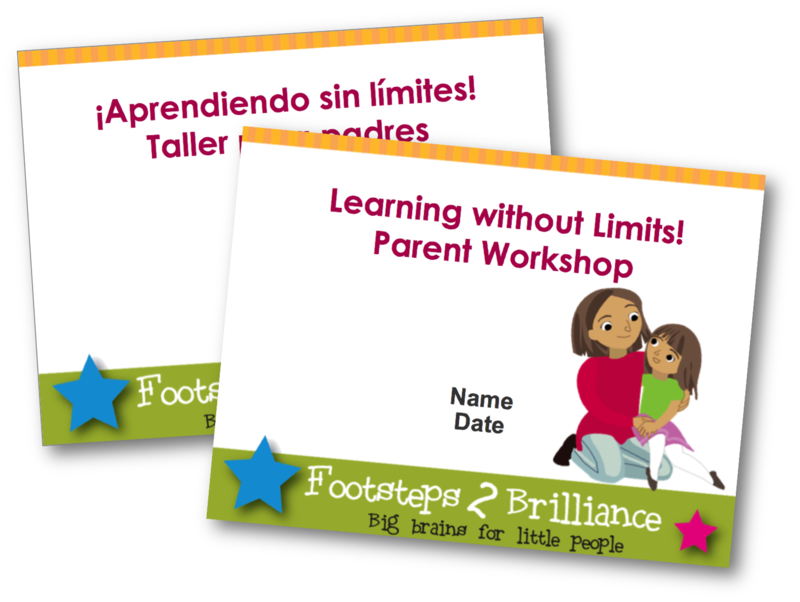 Ready-to-use materials and training for a parent workshop are organized into the Family Resource Toolkit. These tools give you everything you need to host a successful parent event. 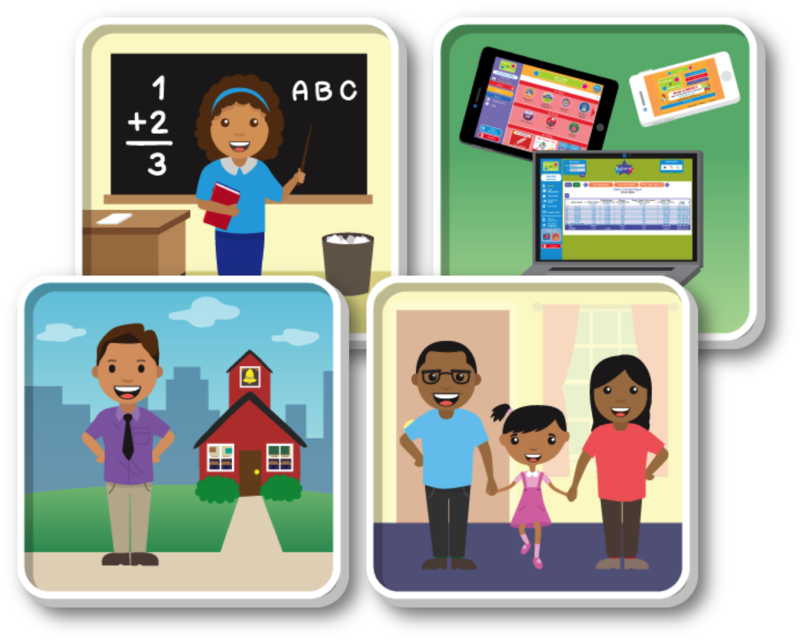 You’ll find videos, handouts, and even a customizable PowerPoint presentation that will start parents using the app right away. Need help? Check out the new knowledge base. Our fantastic client success team has created a knowledge base to help users get quick answers to common questions. With an easy search field and articles in English and Spanish, the new knowledge base offers a wealth of just-in-time information. Simply click “Help” after you visit resources to find this handy resource. Don’t forget to click the Yes or No at the end of each article to let us know whether an article was helpful or not. We sincerely value your feedback! 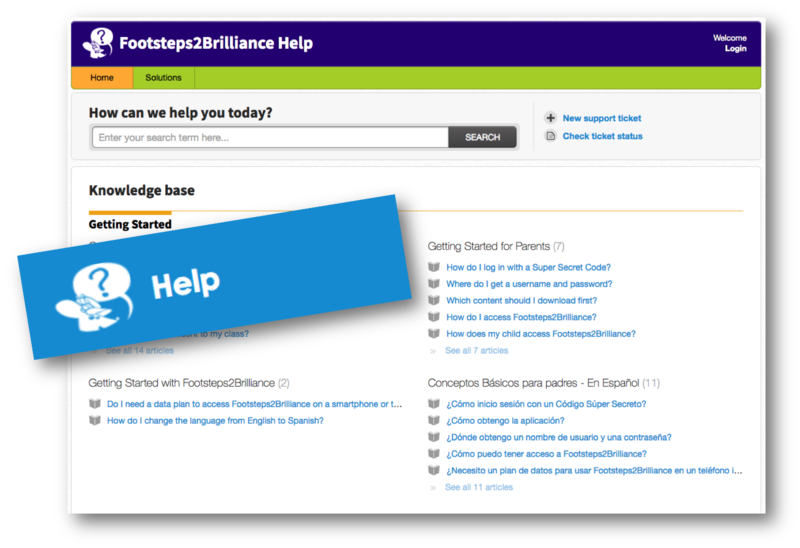 We hope you’ll take a few minutes to explore these new resources designed to make learning with Footsteps2Brilliance even easier. Let us know what you think. We look forward to more! I love F2B. I was blessed to be in charge of a program using it for 3 years. It is such a Great help for children!